The four-day program spans a range of mainstage and more intimate sessions, peer-led discussions, networking elements, performances, meals, and more. 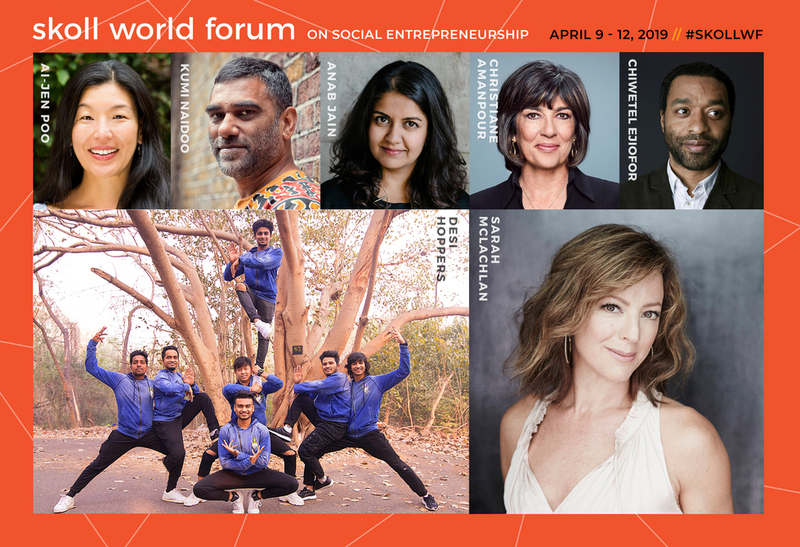 Curated and produced by the Skoll Foundation, our mission is to accelerate the impact of the world’s leading social entrepreneurs by uniting them with essential partners in a collaborative pursuit of learning, leverage, and large-scale social change. We'll explore this year's theme "Accelerating Possibility" with featured speakers including activists Ai-jen Poo and Kumi Naidoo, futurist Anab Jain, journalist Christiane Amanpour, social-justice philanthropy expert Edgar Villanueva, and award-winning actor Chiwetel Ejiofor. We look forward to learning together in Oxford! The general public can purchase tickets to our plenaries here. 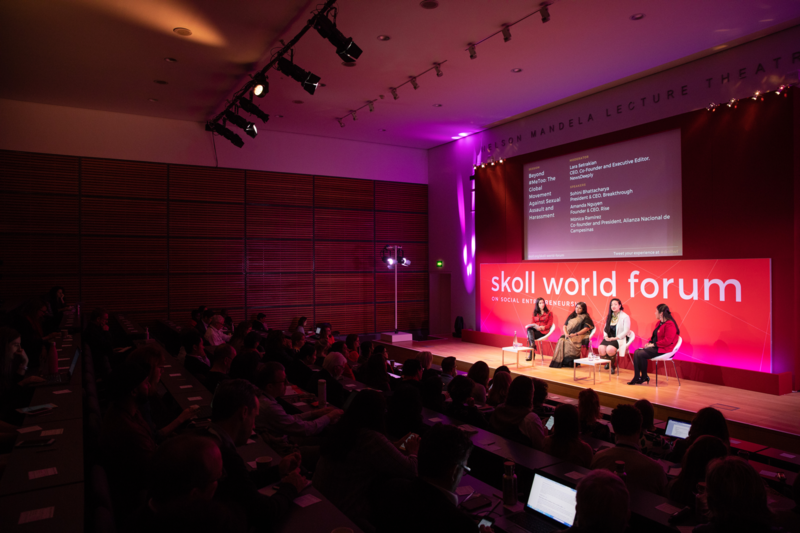 We're also thrilled to announce our 2019 Skoll Awardees for Social Entrepreneurship: Crisis Text Line, Harambee Youth Employment Accelerator, mPedigree, mPharma, and Thorn. How can humanity accelerate a future that is fair, inclusive, and sustainable? Our collective blueprint for the future must mobilize us all toward an achievable vision of progress. Bold imagination, courage, and community will take us there. In Oxford, we’ll hear from social entrepreneurs and innovators who are building a better tomorrow out of broken systems. We’ll learn from those harnessing the power of collaboration to drive large-scale change. Together, we will unleash a relentless pursuit of the possible.